T.A.S.T.E. Evaporators - Cook Manufacturing Group, Inc.
Cook evaporators have been the industry standard for the juice concentrate business for over 50 years. Energy efficiency, unparalleled craftsmanship, and reliable performance are the hallmarks of the Cook-produced evaporator. With capacities from pilot plant scale to units that produce 100,000+ pound per hour of evaporation, Cook Manufacturing can provide for the evaporation needs in your industry. No detail is left to chance in the construction of an evaporator. Each component is designed for optimum performance of the entire unit. Materials for the contact surfaces are selected for the specific requirements of the product to be processed. This may include selecting special alloys for corrosion protection or simply the correct grade of stainless steel for cleanliness and durability. Structural components can be stainless steel, galvanized steel, or epoxy-painted mild steel. Access and working platforms, and safety measures (ladder cages, handrails) are made of stainless steel unless requested differently by the customer. Low on-going maintenance costs are part of the design criteria. Why T.A.S.T.E evaporators and how they are the best for the job? A key consideration when acquiring a large asset such as an evaporator is the long-term energy cost. Multiple effects reduce the energy consumption per unit of product, lowering costs. Cook evaporators can be designed and built for the optimum in energy reuse depending on the local energy costs and the customer’s desire for energy efficiency. The evaporator can be equipped with optional Vent Oil Collection or Essence (Aroma) Recovery units. If not needed initially, these can be retrofitted if a future need for either one arises. Learn more on our Essence Recovery System product page. are from high quality manufacturers with readily available parts and service when needed. Cook Manufacturing also completely refurbishes evaporators. Upgrading an older unit to contemporary standards can often save the customer significant amounts of money. 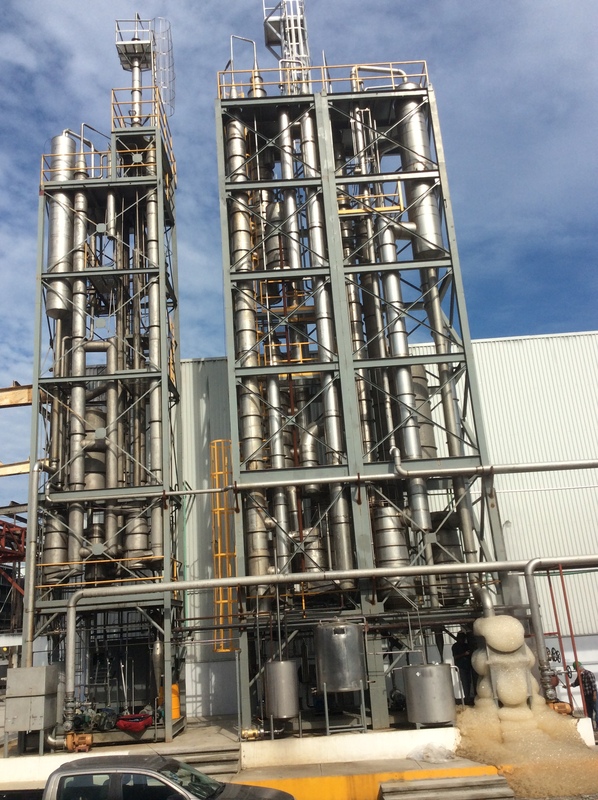 Existing evaporators can be upgraded to greater evaporation capacity to keep up with production increases. CMG usually has an inventory of (or can locate) used evaporators in a range of capacities ready to be brought into like-new condition. A two-year warranty on workmanship and performance is standard for a reconditioned evaporator.